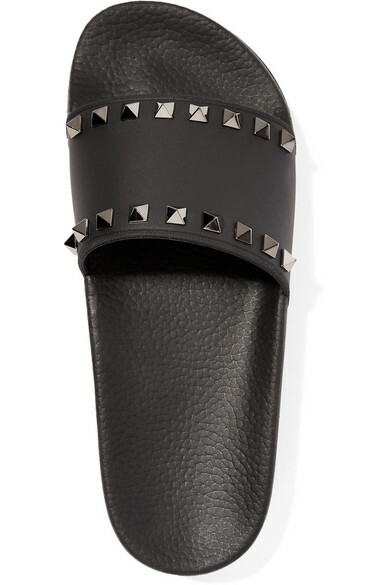 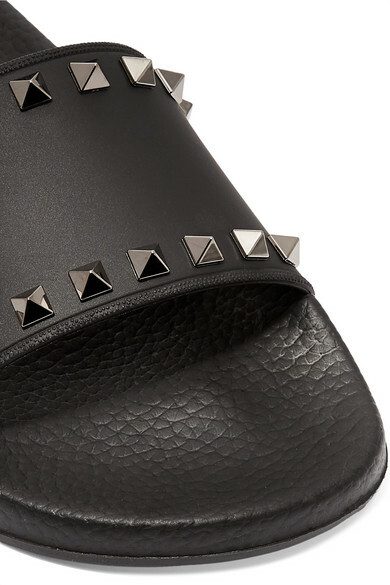 Few things in fashion are as recognizable as Valentino Garavani's 'Rockstuds' - we've seen them on everything from bags to ready-to-wear and now even sporty styles like these slides. 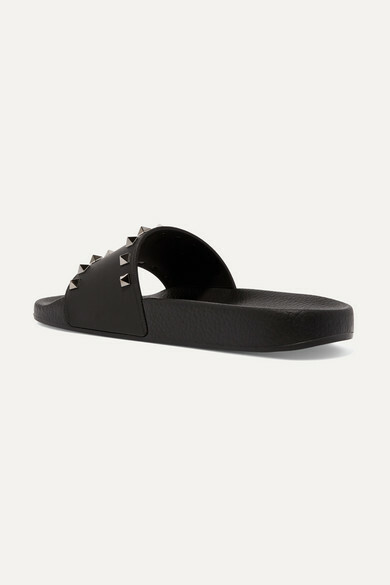 Made from smooth rubber, this pair is punctuated with the hand-polished pale-gold embellishments and set on a spongy footbed that contours to the shape of your feet. 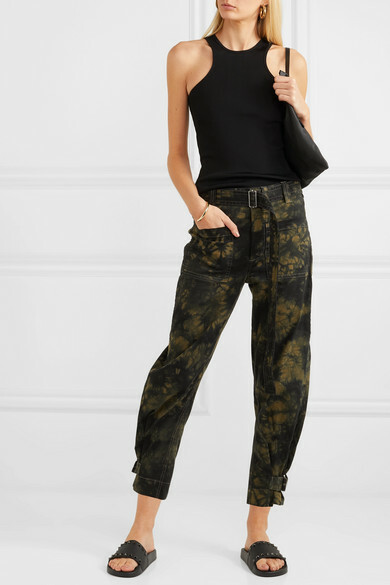 Shown here with: Goldsign Tank, Proenza Schouler Pants, The Row Shoulder bag, Maiyet Bangle, Sophie Buhai Cuff.